Available in hardback, paperback and E-book. Jesse’s freshman football team is in big trouble. The Panthers don’t have anybody who can pass the ball! Jesse is not big and strong like his brother Jay, who was the star quarterback on Panthers varsity last year. Jesse is short and he definitely can’t throw the ball like his brother. Nobody on his team can. Maybe it’s time for a brand new plan. Something even a little crazy…like Jesse playing quarterback. At least he's fast and knows all the plays. What have the Panthers got to lose? Many athletes have succeeded even though they didn’t look the part. Fran Tankenton was small for a quarterback but by the end of his eighteen-year career he led the National Football League in touchdowns (and a lot more!) Baseball experts said Cal Ripken was “too big” to play shortstop. But Ripken played shortstop for fifteen seasons like an All-Star and ended up in the Hall of Fame. Almost two thousand high school girls play football even though many think football is just for boys. In sports, it doesn’t matter if you look the part as long as you can play the part. Everyone who plays team sports has to face the priority question at some time. Are you a quarterback, or a football player? Are you a member of the offense, or a member of the team? 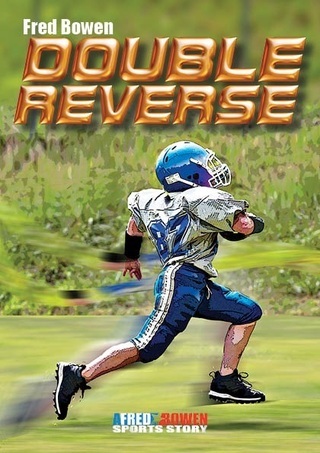 But in Fred Bowen's latest, priorities get challenged, stretched, and tied in knots when a soccer defenseman becomes a goalie to become a football player to become a kicker and end up as a running back?? And SHE's not even the main character! Keep your eye on the ball in this high-fun, high-action sports tale. Jesse is on the freshman football team, and they are struggling to find a good quarterback. Jesse thinks he knows the plays and would work hard, but he doesn’t feel he LOOKS like a quarterback. His brother Jay, who is off playing at Dartmouth, is the quarterback in the family, but he finds that there are lots of good players at college and he is not chosen for this prime role. Jesse is, however, and is successful at it, but the team still needs a good kicker. They find one in Savannah, a soccer player on whom Jesse has a small crush. She ends up being great, and Jesse even manages to write a play so that she can do more than kick to help out the team. Historical notes at the end discuss players who didn’t look like they would be successful but were, as well as the small gains that girls have made in playing football. Bowen does fantastic sports books. Short, interesting, NOT in huge long series, and involving some historical aspect of the sport. I loved the fact that both high school and college football were discussed. Need to make sure I have ALL the Fred Bown titles for the start of the school year. He is definitely the new Matt Christopher. This is my only nonfiction; It's a picture book biography.